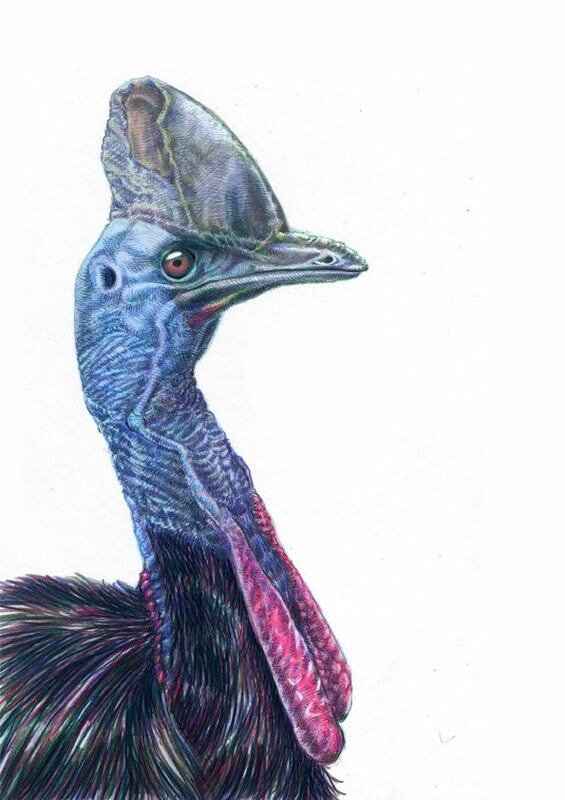 The Southern Cassowary, like all cassowaries, bears a bony protrusion on its skull called a casque. Scientists are still unsure of its purpose: perhaps the casque is for deflecting falling fruit; perhaps it serves as a helmet while running through dense undergrowth; perhaps it is an acoustic amplifier designed to detect the low-frequency calls of other cassowaries. They are very private creatures.